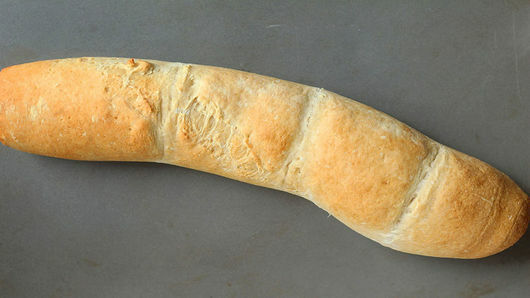 Bake French bread as directed on can for 26 minutes. 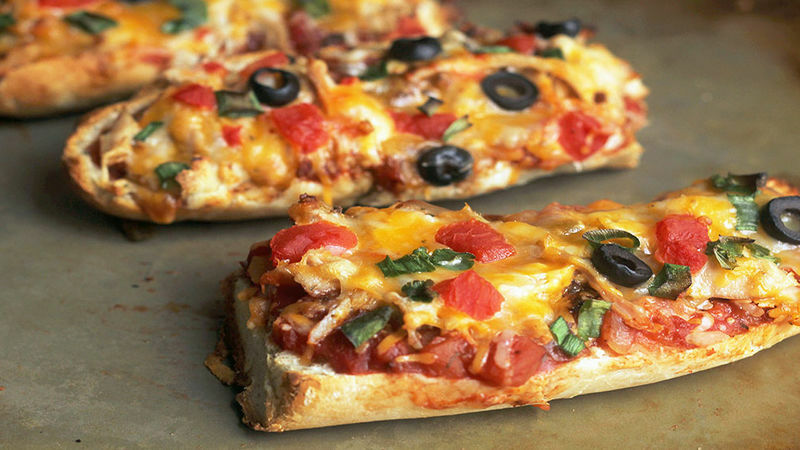 Spread 1 cup pizza sauce, salsa or tomato sauce on pieces of bread. Sprinkle 1 tablespoon taco seasoning mix evenly over sauce. 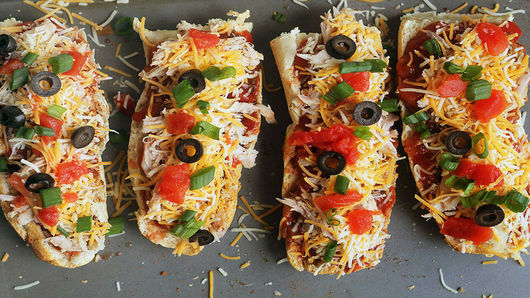 Divide 3/4 cup shredded baked or deli-rotisserie chicken and 3/4 cup shredded Mexican or southwest cheese blend evenly onto pieces of bread. Sprinkle with desired additional toppings. 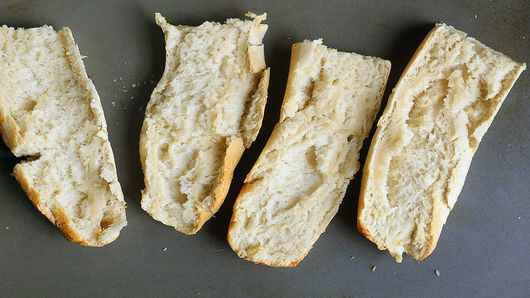 Bake 10 to 13 minutes or until cheese is melted, bread is golden brown, and toppings are hot. Remove from oven. Cool 5 to 10 minutes before serving. To mix things up, you can also try this recipe using cooked ground beef or turkey.